Fortnite broke all the rules by giving everyone cute and fun pets this week, so we need to even the score: I need you to put pets in every game. Listen, I don’t care how you do it, but no one is going to buy any game without pets in it in the foreseeable future. Can you imagine purchasing a Spider-Man title without a spider pet? 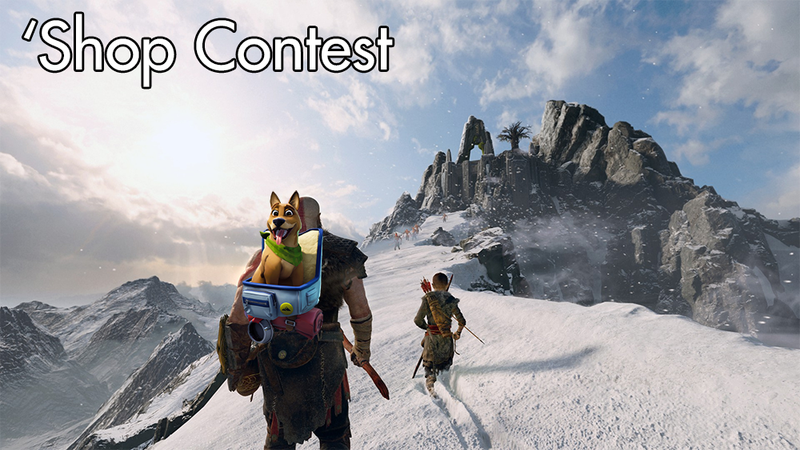 Or God of War without a dog of war? Fortnite has added pets, and that’s literally changing the calculus on what makes a game good or not, so it is up to you to make everything right again. I need you to ‘shop pets into games. It can be your pet. It can involved putting a pet from one game into another game. I don’t care. Just get pets into video games where they currently are not. I need to see the pets. Put the pets in the game! Here’s a helpful .PNG of the dog pet from Fortnite if you want to get started but, to be clear, you can ‘shop any pet you want.